Two friends team up to launch a production company specializing in radio, film and television. LOS ANGELES - Oct. 22, 2014 - PRLog -- Longtime friends, Brian Bush and Mikeya Summerville has launched a boutique, production company, Bushville Entertainment. The company will develop and produce creative content focusing on radio, film and television. Combining their last names for the title of the company symbolizes the perfect chemistry that Bush and Summerville have when working together and executing ideas. The radio show, Social Misconduct is the first project launched under Bushville that is hosted and produced by them. After being live on air for just 10 weeks, the show has been a huge success so far with over 20,000 national and international listeners on AcceleratedRadio.net weekly. “Our goal is to offer something new and fresh to the entertainment world. We have so many great ideas and are excited to see them begin to unfold and come to life in our projects,” said co-founder, Mikeya. They are currently writing an original script for a television show with plans to produce and direct it as well. 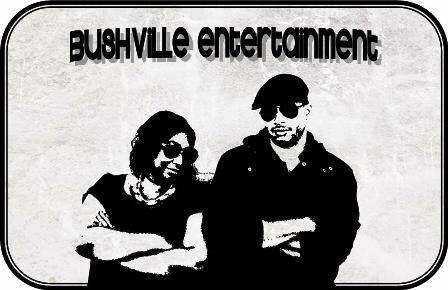 Bushville Entertainment will also lend a hand to others on various film and show ideas. To learn more about Bushville Entertainment and upcoming projects, follow on Twitter @BushvilleEnt and on Facebook: https://www.facebook.com/BushvilleEntertainment.